Under Louisiana law, drunk driving is “operating a vehicle while intoxicated.” A “vehicle” can be a car but can also be a boat, truck, plane, or motorcycle. Intoxication can refer to alcohol but can also be impairment caused by drugs, even legally prescribed drugs or over-the-counter drugs. 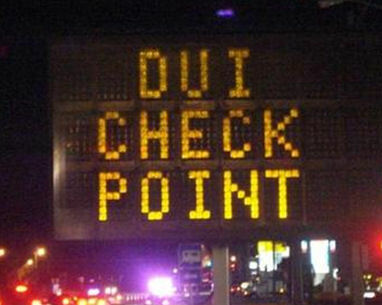 If you are stopped for a DUI investigation, the police officer will request that you perform two types of tests. These tests are supposed to determine your level of intoxication. The first test is the breath test. This is generally done through a breathalyzer and will measure your blood alcohol level. If the amount of alcohol in your system is over 0.08, you will be charged with a DUI. The second test is a field sobriety test. The sobriety test is a variety of physical actions that you will need to do under the police officer’s supervision. The test is usually recorded by a video camera in the police car. These tests include walking in a straight line, standing on one leg, and the nystagmus eye gaze test which is when the officer moves a pen in front of your eyes. Failure to perform the tests properly can indicate intoxication. If your blood alcohol level is below 0.08, but you fail the field sobriety test, you can be charged with drunk driving. The police office will also be looking for signs of impairment. Evidence of impairment can include slurred speech, driving erratically, alcohol bottles and cans in the car, being involved in an accident, and generally appearing to be intoxicated. You have the legal right to refuse to take the tests. The Fifth Amendment guarantees your right to not be forced to give or produce evidence that may be used against you in court. My recommendation to clients is that you can use your constitutional right of refusal if you feel that it is in your best interests. The penalty for refusing the tests is the loss of your drivers’ license for a specific period of time. It can be possible to have a restricted drivers’ license during this time, but you must have a blood alcohol ignition interlock devise installed in your car. This device is essentially a breathalyzer for your vehicle, and you will not be able to operate the car without blowing into the devise first. If you refuse the tests, you can still be arrested and charged with a DUI, but you have the right to an attorney and the right to a fair trial. When stopped by a police officer, remain calm and polite. Do not insult the police or act aggressively. If you intend to exercise your right to refuse the tests, you can simply tell the police officer that you do not wish to take the tests and would like to talk to your lawyer immediately. This will effectively end the investigation. If you are arrested, you will have a bond amount set for your release. You can contact a bail bondsman who will help you bond out of jail. Then you will need to see a criminal defense lawyer who has experience with DUIs and make a full statement. Your drivers’ license will be suspended, and you will receive a temporary 30 day license. You can request an administrative hearing to fight the license suspension, but it must be done within 15 days of your arrest. You will then have the opportunity to fight the DUI charge in front of a judge. These are general guidelines for drunk driving arrests and DUI charges in Louisiana. Penalties, fines and the license suspension period vary depending on several factors. For example, penalties are more severe if the arrest is for a particularly high blood alcohol level or if the arrest is for a second or third DUI charge. If you are facing a DUI charge and you have questions about your specific situation, please call my office at 337 704-2615 for a free consultation.